November 19, 2008 by rwb, under Electronics. Where I is the current measured in Ampere, V is the voltage measured in Volt and R is the resistance measured in Ohm. Another important law that works closely with the Ohm’s law is known as Kirchhoff’s law (first introduced by Gustav R. Kirchhoff). We will show you the practical used of these two laws as we travel through this blog. This is known as Kirchhoff’s voltage law that say the total sum of voltage in the closed circuit is equal to zero. If you look closely many of the electronics circuit design used this basic voltage divider circuit (i.e. transistor biasing, volume control, voltage reference, etc). 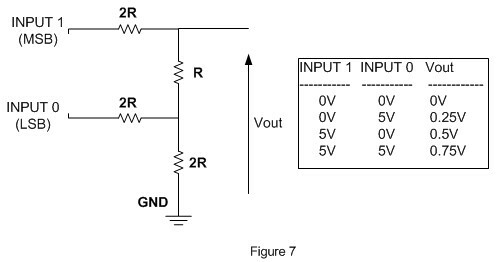 This circuit in figure 2B is used in many comparator circuit the sensor that measure the voltage different; this mean any changes on R1, R2, R3 or R4 value will generate voltage different across V1 and V2. 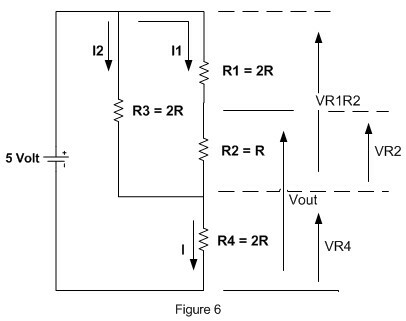 Some practical used of the voltage divider circuit, is to convert the digital signal forms to the analog signal forms. 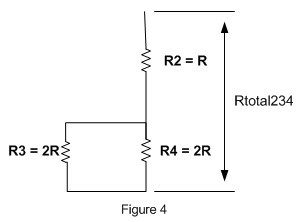 The digital signal is as a signal presented in discrete value (0 volt or 5 volt) while the analog signal is a signal presented in continues value (0 volt to 5 volt). Today the digital to analog converter circuit play an important role in our life such as your MPEG player, PDA and Mobile Phone, all of these gadgets process the signal in digital forms and presenting the output in the analog signal forms; so we could hear and see. Vout = (R1 / R1 + R2) x VR4. 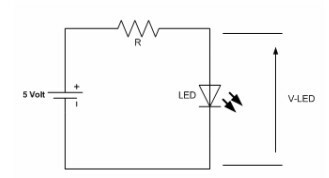 By adding VR2 and VR4 value we get the Vout = 5/8 V + 1/8 V = 6/8 V = 0.75 V.
So we could use the 0.25 Watt resistor available on market to our circuit.